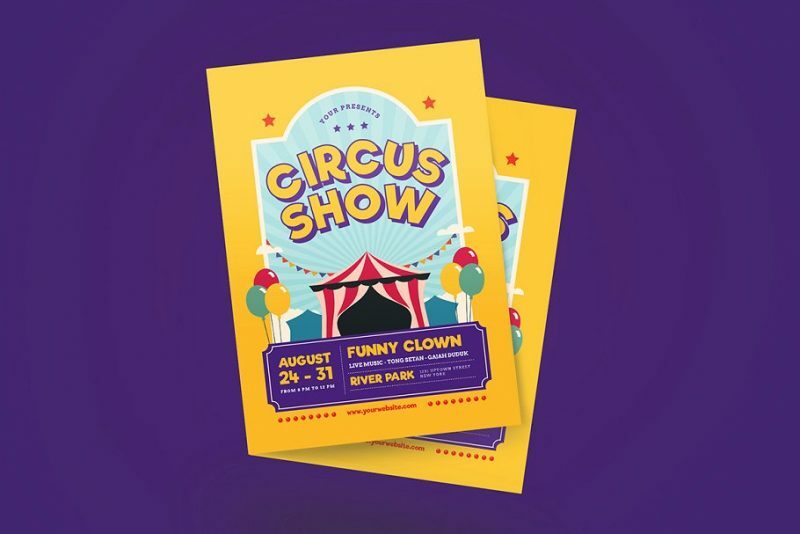 Circus flyer templates are useful for promoting circus events among the public in a professional way. 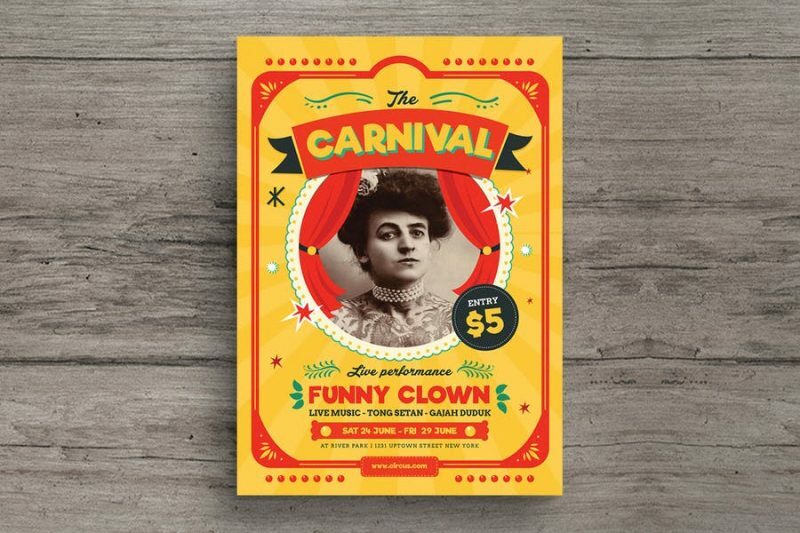 You have to design a perfect promotional flyer for your circus event. 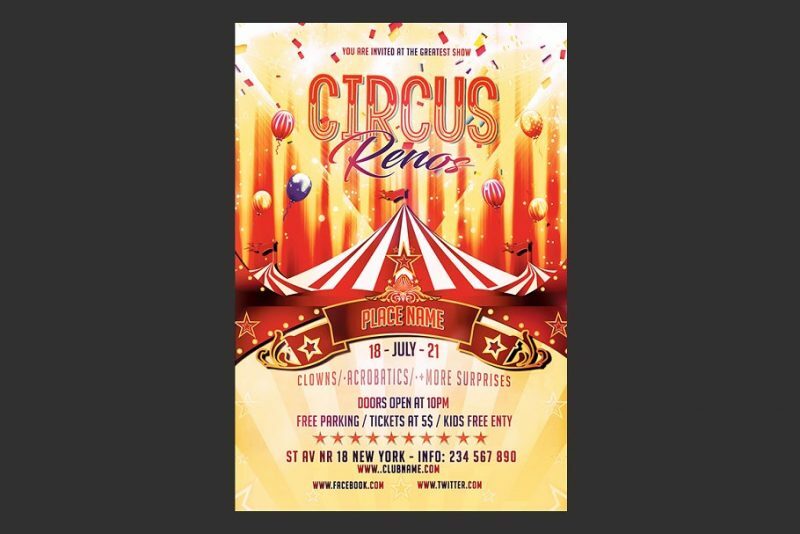 You can make use of our circus flyer templates for the promotion of your event. 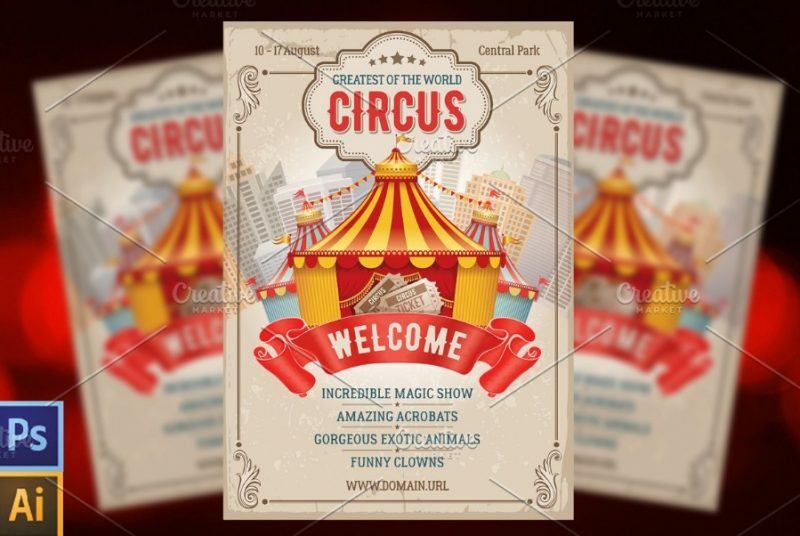 All these templates presented below are well layered and well organized so you can customize all the elements according to your need. 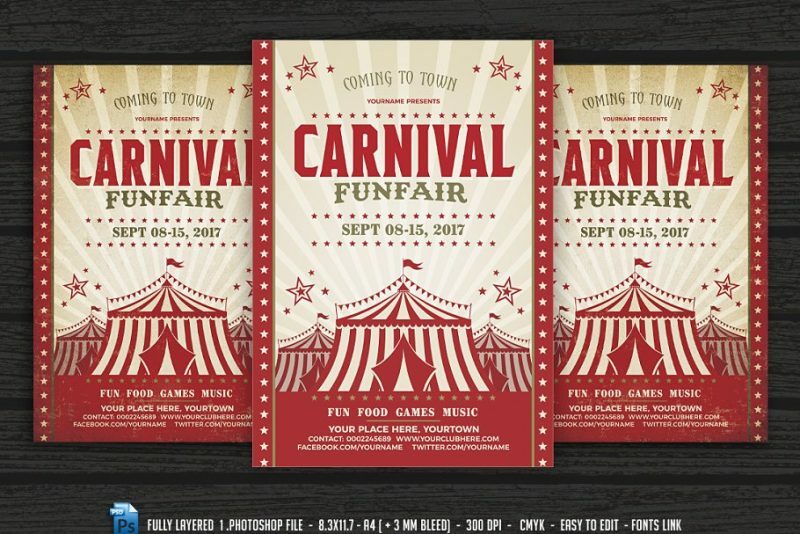 In this article we have presented different types of flyer templates which are suitable for promoting amusement events. You can download the best looking flyer and customize it according to your need. 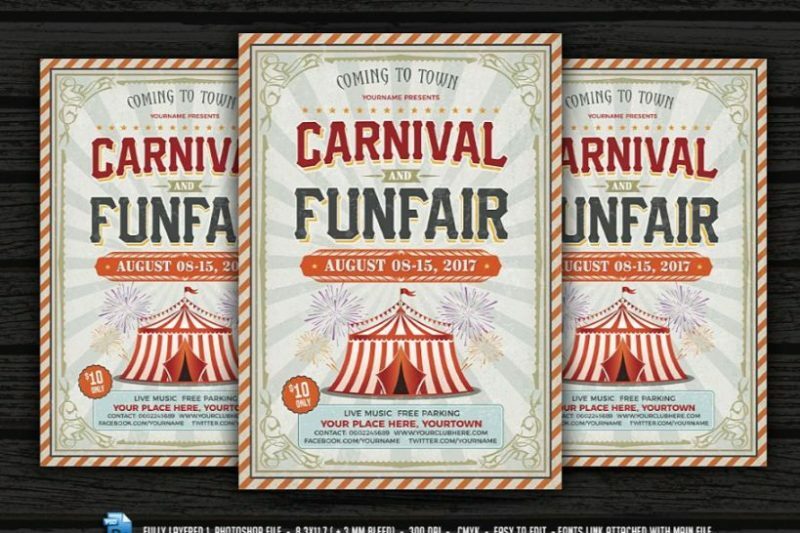 All the templates are designed by using 100% vector objects and can be resized. 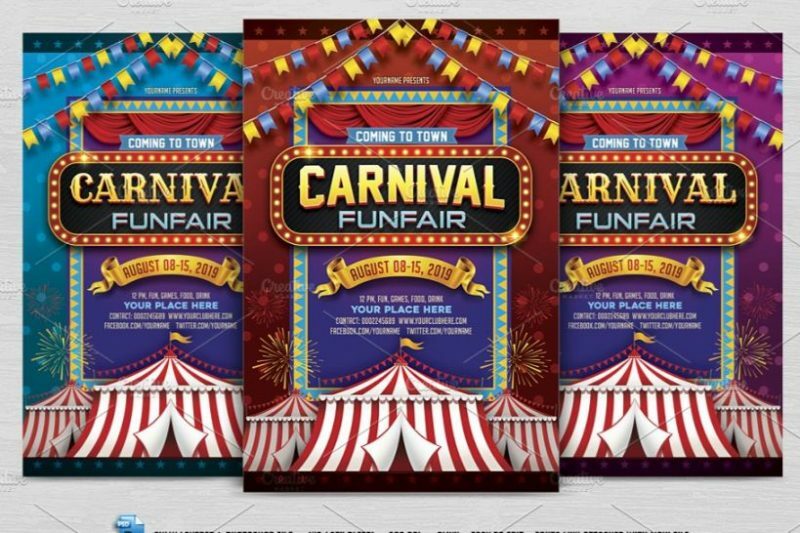 You can take the print of these templates without any hassle and distribute to the people. 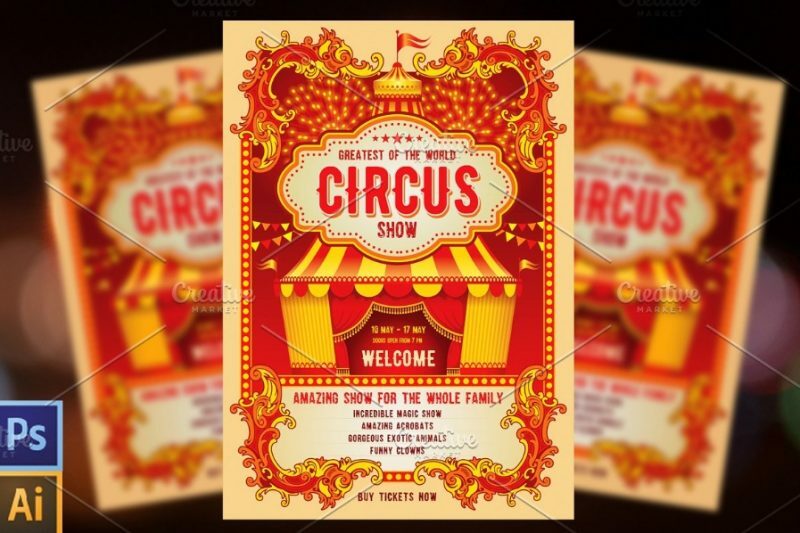 This is a well editable circus event posters and flyers for the promotion of events. 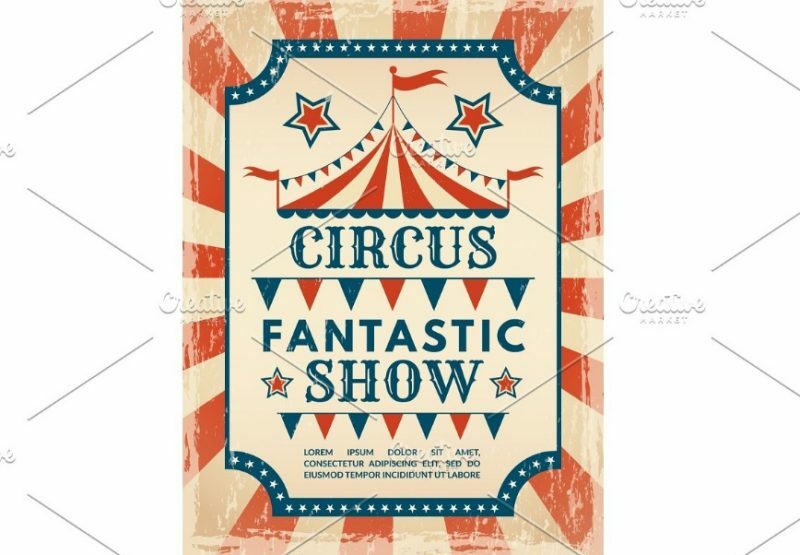 You get these templates in 11.6 x 16.5 inches size with 0.125 mm bleed. You can download the free fonts from links in help file. 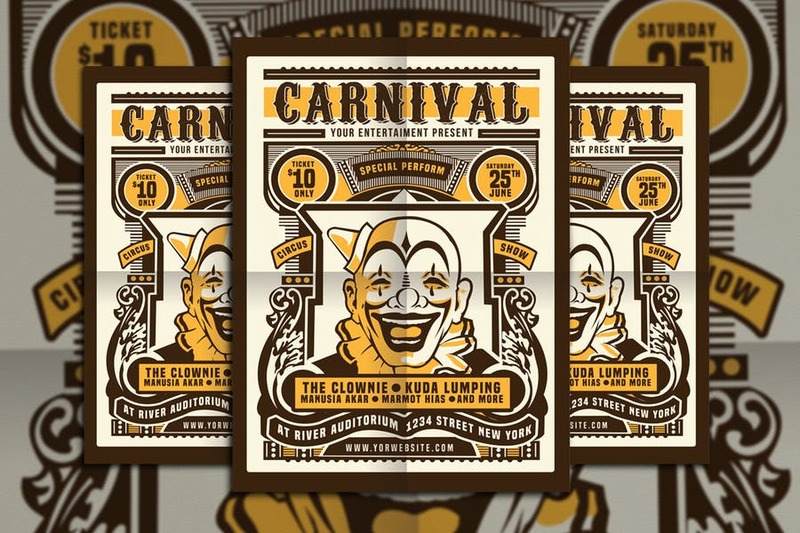 Give a retro look to your flyer design. You get this file in A4 size and in two different software formats i.e Ai and PSD. You can take the print of the flyer without any quality loss. Presentation images are not included in final download. 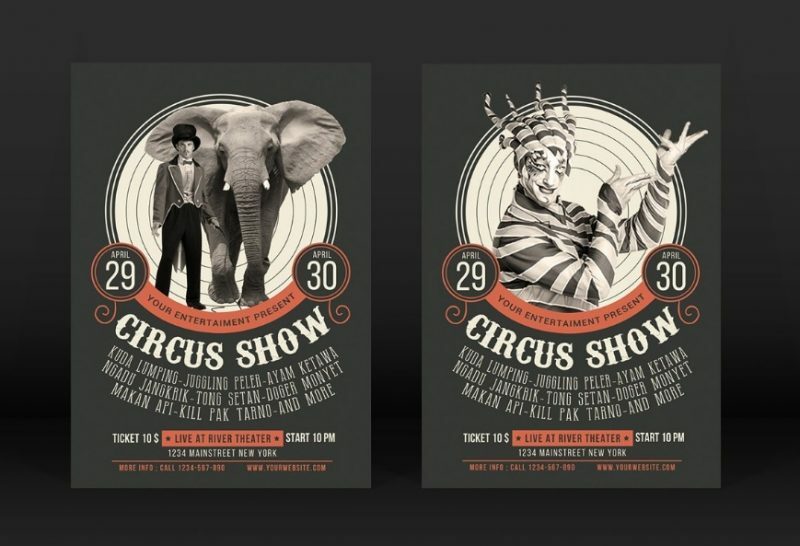 This is a very well editable and customizable psd file for circus show promotion. You can edit all the text in the flyer template and place your event details on it. You can find the links to fonts in the readme file of the download. 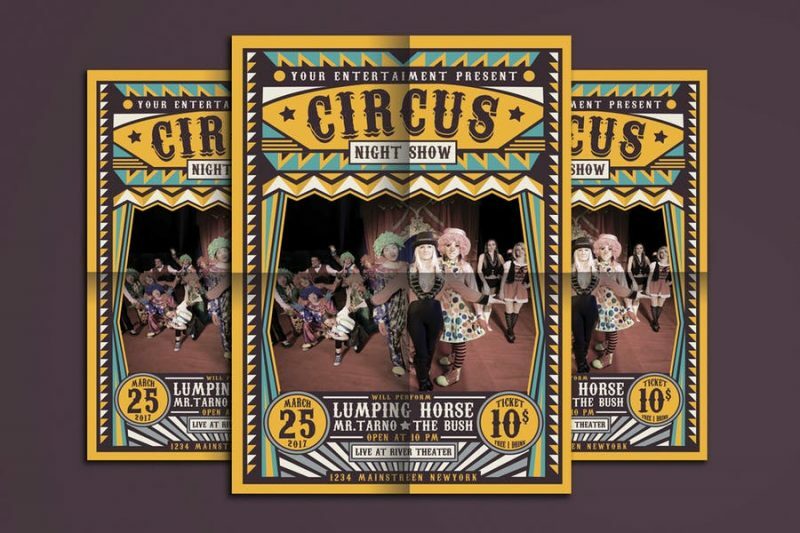 This is a vintage style circus event promotion flyer you can customize all the main elements of the file. Above mockup is not included in the download. You can select the best template that suits your need and customize the template accordingly. 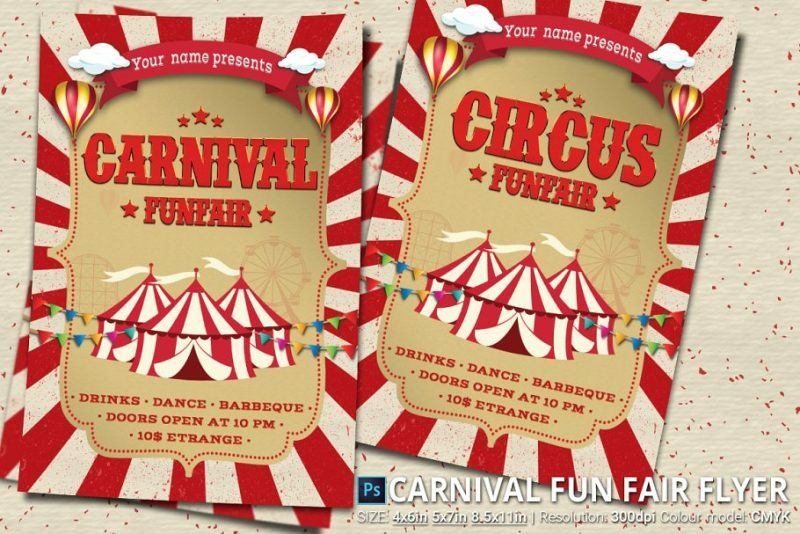 You can use it for circus, carnival and event promotion.